More on the Haropa Extending TV Swivel Shelf for Cabinets & Built-Ins (Black) HP3310 below. 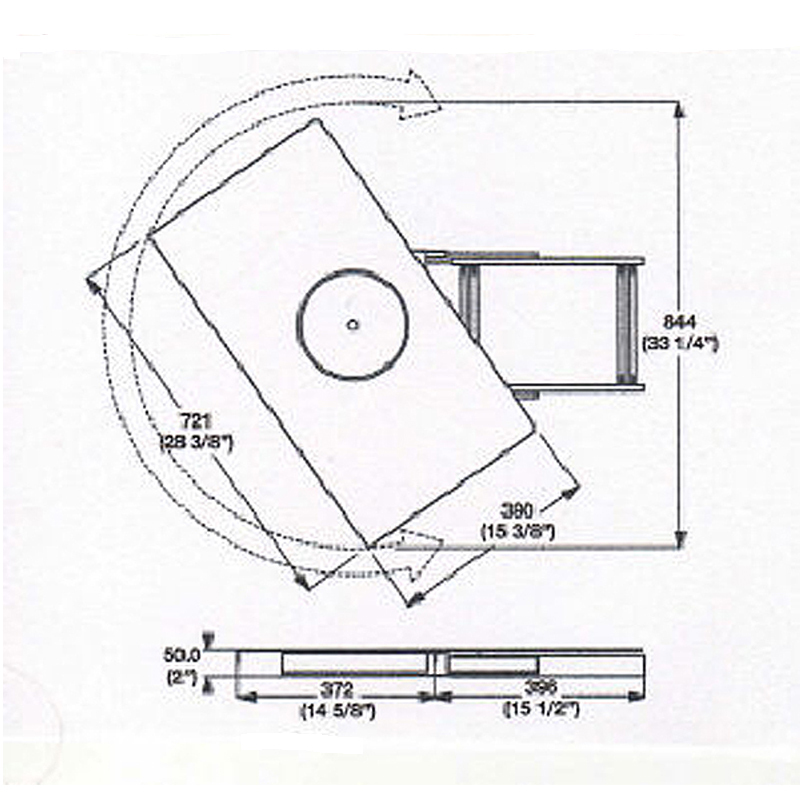 Please Note: The HP3310 requires a 33.25"W clearance for proper rotation. **This item is typically installed by professional installers or contractors. No installation hardware is included with this item. Due to the unknown nature of the installation (i.e. the type of shelf, thickness of shelf, etc.) the length of necessary screws or bolts is varied and unpredictable. The customer should ideally use nuts, bolts and washers to secure the pullout shelf. She or he will need to measure the thickness of the shelf on which she or he intends to attach their screen and purchase the appropriate sized bolts for this particular installation. No other hardware is necessary to install the pullout shelf. Depth: 15.50 - 30.12 in.